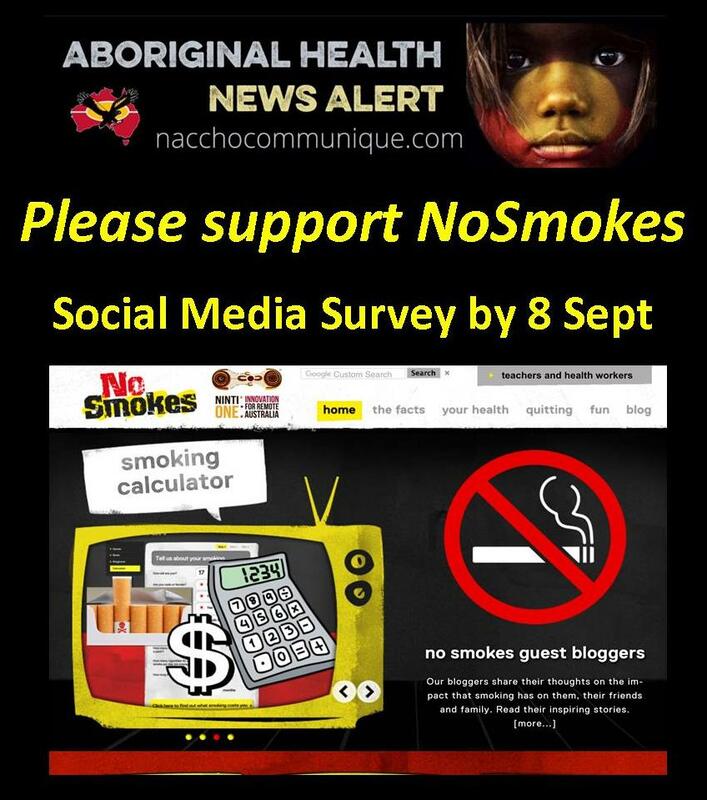 How does accessing the NoSmokes health campaign support anti-smoking behaviour in Aboriginal and Torres Strait Islander youth? 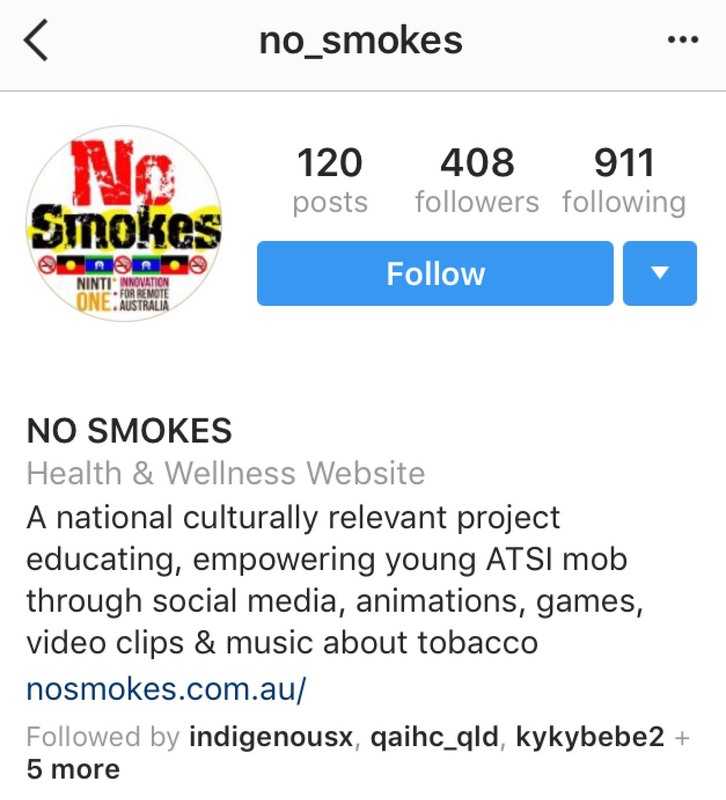 The aim of this project is to explore how the NoSmokes health campaign supports Aboriginal and Torres Strait Islander youth to deal with smoking situations. 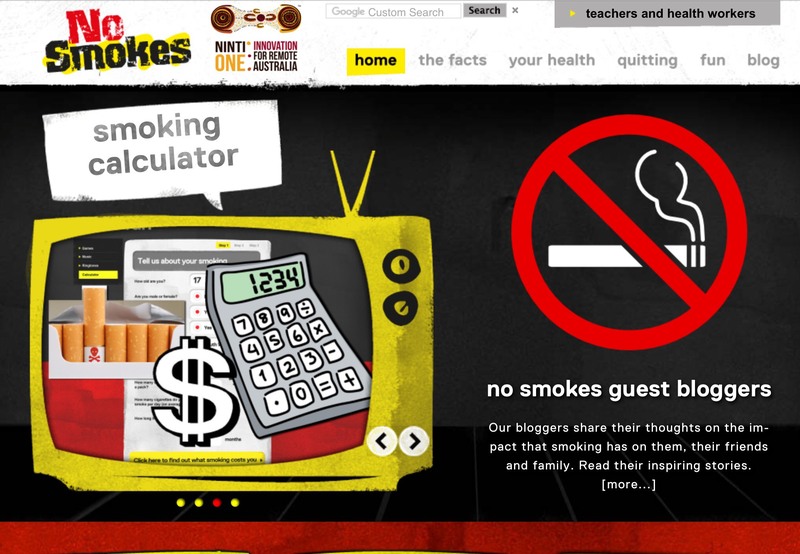 We will also explore whether accessing NoSmokes supports young people to stay quit or resist starting smoking. 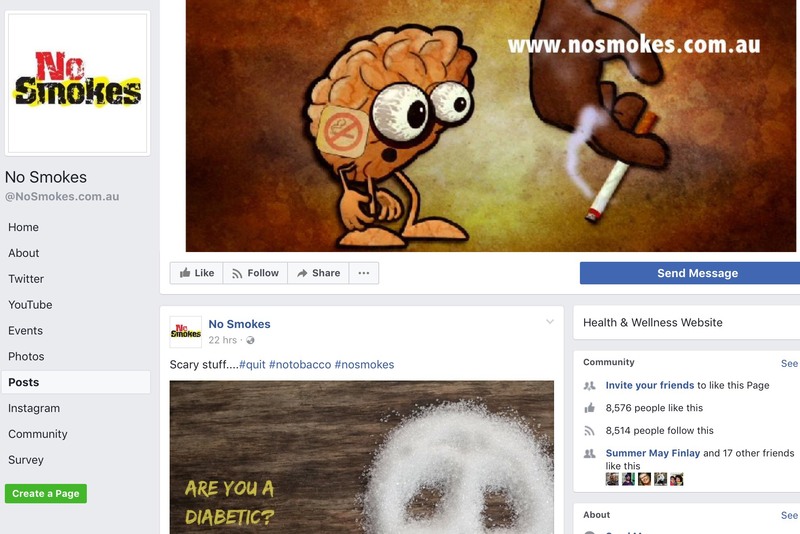 This project will help us to understand more about how online technology and social media can be used to support positive health behaviour, particularly in relation to smoking. You may also learn more about your own confidence in dealing with a number of different smoking situations. 5.and be 16 years of age or older. Your participation is voluntary, so you don’t need to take part if you don’t want to. If you choose to take part, you will complete an online questionnaire answering questions about: your experience with smoking; your experience of NoSmokes, your confidence in dealing with different smoking situations. This will take around 20-25 minutes. If there are any questions in the survey you don’t like, or that you do not feel comfortable answering, then leave that question and move onto the next one. You can complete the survey on your mobile phone or computer. If you change your mind about participating, or are feeling uncomfortable, you can choose to stop the survey at any time by closing the web page or by not pressing the ‘submit’ button. Any data collected before you withdraw will be deleted at the end of the data collection period. Only the researcher will have access to the individual information provided by participants. Privacy and confidentiality will be assured at all times. The project findings will be used as part of the researcher’s Honours Thesis project, and will be published on the NoSmokes and Ninti One websites. The research may also be presented at conferences and written up for publication. Only anonymous information will be gathered – you will not be required to provide any identifiable personal information, such as your name or date of birth. No one will know you have taken part in this research from reading the thesis, reports or other publications. If you are interested in viewing the results of this research, a summary report will be available on the NoSmokes website http://nosmokes.com.au/ in December 2017. You can also request a copy of the final thesis by emailing Neeti Rangnath on u3105740@uni.canberra.edu.au. During the project, the anonymous data will be stored securely on a password protected computer, and then stored securely on the University of Canberra network server. The information will be kept for 5 years, after which it will be destroyed according to University of Canberra protocols. The project has been approved by the Human Research Ethics Committee of the University of Canberra (HREC 17-83). I have read and understood the information about the research. I am not aware of any reason that I should not be participating in this research, and I agree to participate in this project. I have had the opportunity to ask questions about my participation in the research. All questions I have asked have been answered to my satisfaction.